Hi everyone! 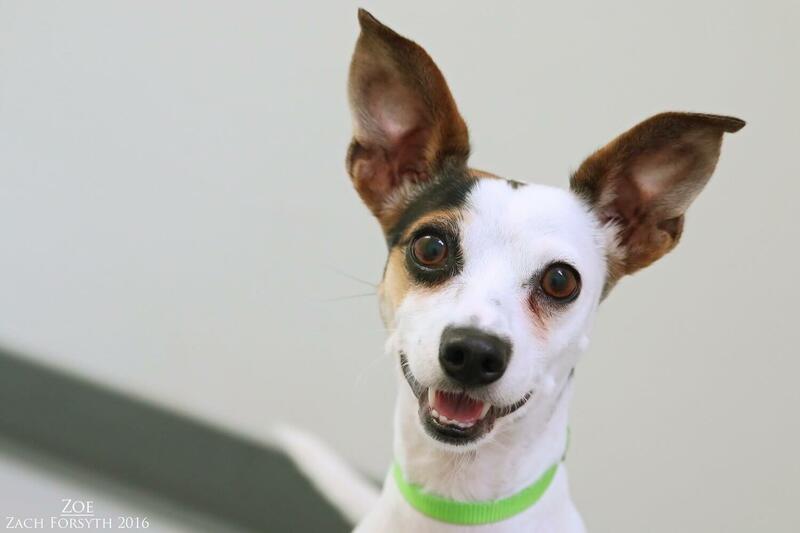 My name is Zoe and I am super sweet and adorable 5 year old rat terrier mix. Can’t you tell I am such happy girl?! Always smiling for the camera! I am the perfect combination of active and cuddly, and will always join you on the couch after a nice play session or nice walk around the block! I enjoy hanging out with other puppy pals and kids over the age of 6, but my foster mom says I am a little too interested in the cats, but we coexist just fine. Don’t they know I just want to play? I am a very intelligent lady and am already potty + crate trained. I am the whole package! Ready to make me the star of your life? Then lights, camera, action and fill out that application, so we can set up a meet. I come to you vaccinated, spayed, and micro-chipped with an adoption fee of $250.